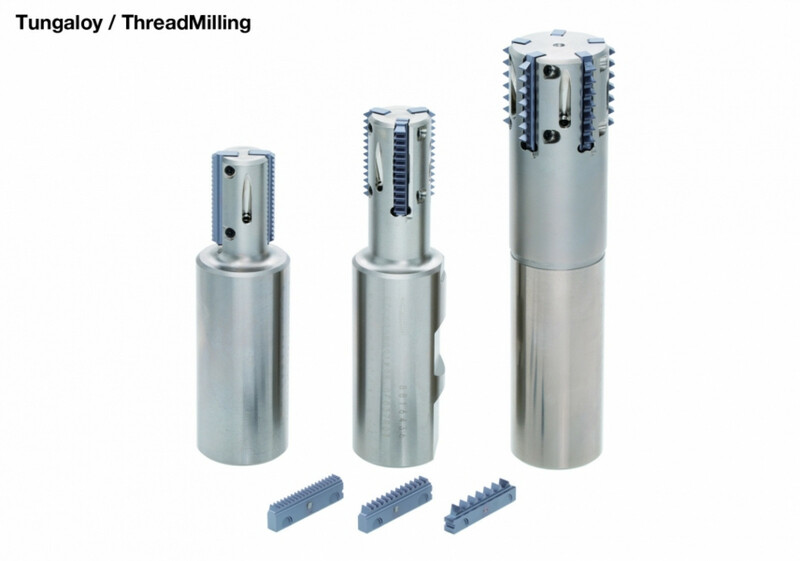 Tungaloy introduces ThreadMilling ETLN series, a family of indexable thread milling tools for machining centers. 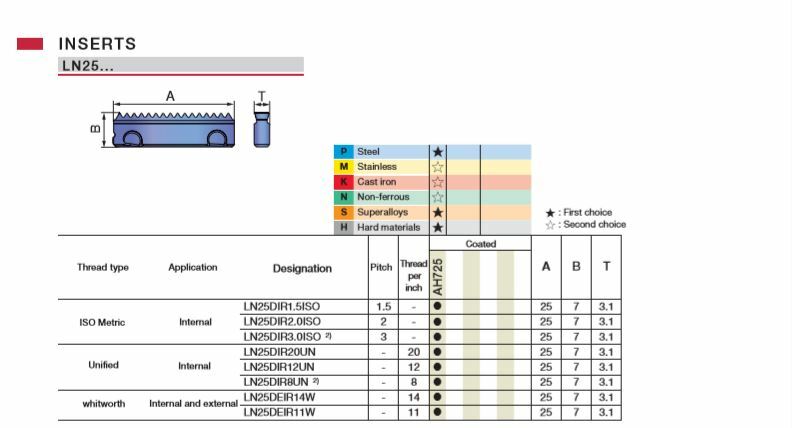 This indexable insert system enables a single cutter body to use different thread profiles and pitches for various thread milling operations in machining centers. 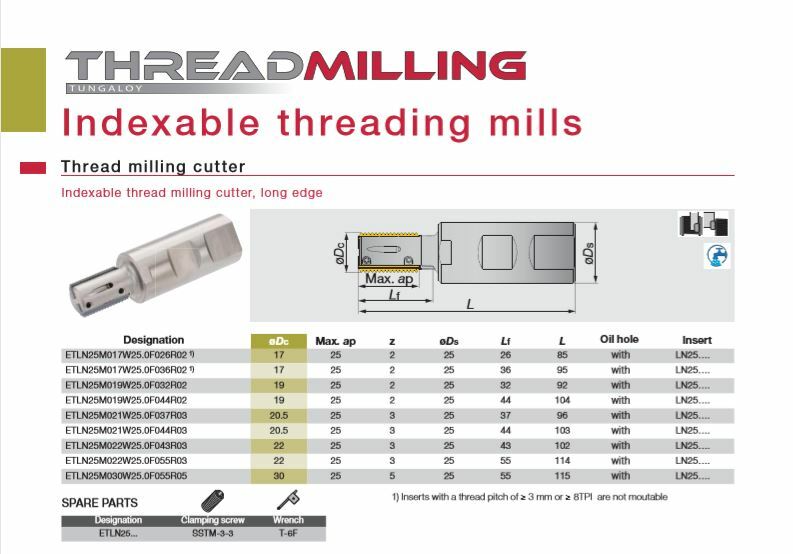 The multiple-flute indexable threading cutter incorporates multiple threading inserts in 25 mm or 1 long, featuring the highest level of machining efficiency for an indexable type thread mill. Multiple flute design available in tool diameters, ranging from ø17 mm with 2 flutes to ø30 mm with 5 flutes. Available in: ISO metric, in 1.5 mm3 mm pitches; Unified threads, in 208 TPI; & Whitworth, in 14-11 TPI. Loss-free screws for insert clamping. 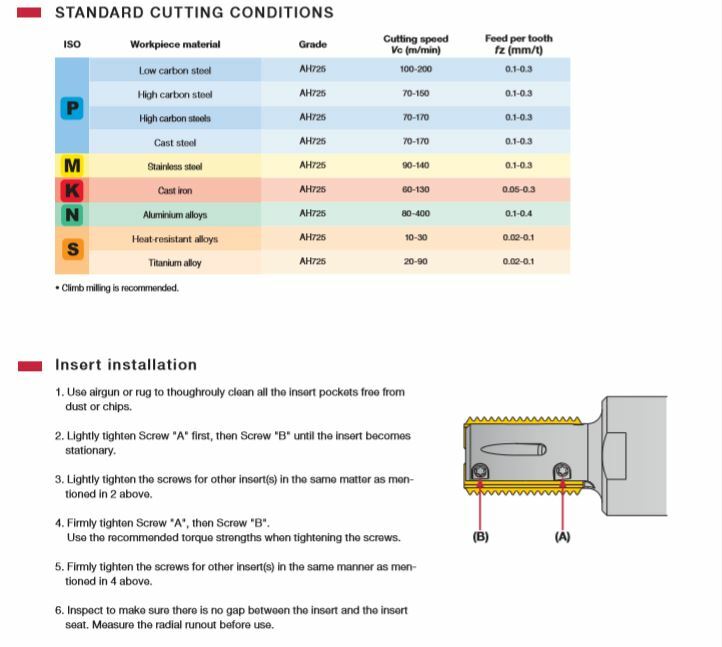 No need to completely remove the screws from the cutter body to set the insert. Sophisticated internal coolant system delivers ample supply of coolant to the cutting edge and working surface during through-hole machining, which helps achieve a high surface quality and eliminate premature insert failure.